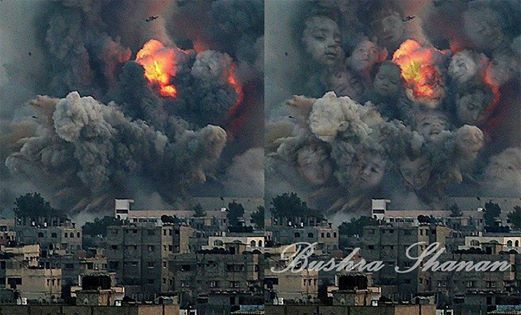 While the established media are still prevaricating about what is going on in Gaza, we the ordinary people take to the streets and social networks and see that what is happening daily are war crimes. Still the politicians and sycophantic journalists are saying “maybe” war crimes have been committed. Looking at posts on Facebook and Twitter there’s no “maybe” about it. In the first place the secrecy beloved by states like Israel and agencies like the NSA and GCHQ (which Edward Snowden recently declared is worse than the NSA – good grief!) is harder to maintain. Israel still maintains it isn’t nuclear power after Mordechai Vanunu blew the whistle in 1986 in the ungrateful Sunday Times. (it now barely utters a word about the man who subsequently spent 18 years, much in solitary, and now another 10 held in Israel against his will. 58 MPs invited him to Britain last month but the Sunday Times was virtually silent, apart from a couple of paragraphs). That the social media counts is shown by Netanyahu’s (aka Bibi) reaction by offering bribes to young people with scholarships when they tweet something favourable to Israel. I call that scraping the barrel. Hard to stomach as it may seem Hamas also recognises that the world is at last seeing what has been happening to the Palestinian people under occupation and is seeking a long term end, not the capitulation that Israel and supporters such as the US and British Governments would wish. Even the UN seems to accept that scenario. As Ban Ki-moon deplores the shelling of the UN school in Gaza where at least 13 were killed he is reluctant to apportion blame to Israel. One commentator guaranteed to get Bibi rattled and riled is Daniel Barenboim, holder of Israeli and Palestinian nationality. He can claim to offer both an informed and balanced view on Gaza and stating the obvious – that a military solution will never solve anything – speaks to everyone. This entry was posted in International, MIddle East, Uncategorized on July 25, 2014 by John. The bitter current situation that our heroic prisoners face inside the dark and enigmatic Israeli jails is one of the most important issues which every leader, follower, child, student, scientist, worker, farmer should work for. 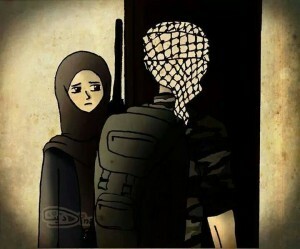 Not only the Palestinian people are the ones who are responsible for fighting against the Israeli military forces for freeing the prisoners, but also it is the liability of all the Arab countries for standing next to Palestinians and supporting them financially and emotionally, encouraging them to be patient in order to encounter their enemies and free their home and land from the filthy hands of the Jewish. For this, I am not going to fold my arms in front of the agonies and hardships that our jailers expose to inside seclusion cells and prisons, that are far away from the orange eye of the sun, and sit at the end of the caravan.Since I am having one of the sharpest weapons which is the English language, I am expected to start my new simple journey in writing reports and articles by which I can deliver the message of our prisoners to every corner of the world. 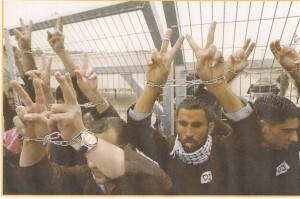 Depriving the Palestinian prisoner of seeing his parents, wife, children and friends, sitting with them, sharing them their happiness and sadness and also depriving the prisoner of hugging his little boys in a particular way can be considered one of the most heinous crimes that prisoners suffer from at the present time. Of course, it is a trouble that leaves psychological problems inside prisoner’ssouls and their relatives as well. What sins and what faults did small children and aged people do to be deprived of seeing their fathers and sons? This question is left for you, READER. It is quite clear that the Israeli authorities impose revengeful, unjustifiable and inhuman punishments against wide strip of people which require unity to be removed. 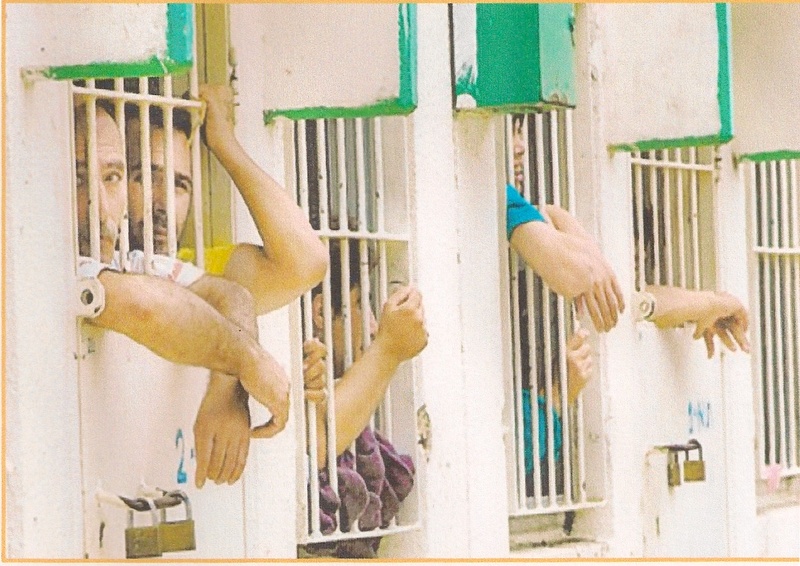 Under the title of “Suffering of Deprivation and Hope to Meeting”, the international organization of human friends released a report in which it showed the problems and difficulties which prisoners’ families and detainees go through when visiting their sons in jails and how this problemincreases from oneminute to another as a result of the aggressive and strict procedures taken by military forces in the sacrileges of international laws and traditions. In addition, the report shed some light on the hard conditions and barriers that Zionists write on the panel for visitors and families to read before visiting their prisoners. The next paragraphs show some of these difficulties. The report showed prisoners’ families go from dawn at three o’clock and return back their homes before midnight in most cases. Even though the distance between the jail and their homes doesn’texceed more than one hour or two, the period of visiting is forty five minutes or less than that, depending on pragmatic cases. Throughout investigating times, visiting is not allowed. This temporal period expands to seventy days in some cases. The report added that after visitors being delivered by coaches to meet their detainees and throughout the journey of suffering and torture, they must pass and in big numbers lots of military hindrances. After a long time of waiting , changing buses, inspection and bothering by the army, they might be given the permission to visit their prisoners. Such elements changed the process of visiting into a real tragic disaster. What prompts attention most and increases the beats of hearts is that sometimes the administration of jails says to some families: ” Your son is not here. We don’t have this name in the list.” They aim at shocking the families. 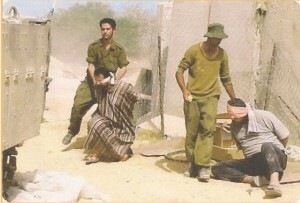 The report added that a pile of Zionist procedures that taken against prisoners and their relatives resulted in complicating and stopping the process of visiting in most cases. The number of prisoner is approximately 9000 ones. It means that, at least, nine thousands of families are deprived of communicating and sitting with their sons in addition to their friends, uncles, aunts, teachers, grandfathers, grandmothers, etc. The administration of jails, in addition to inspection and what mentioned before, forces prisoners and their families to take their clothes off before and after visiting in the middle of a stream of curses, insults, offenses and bad words directed to them.The meeting between prisoners and their families doesn’t start as soon as entering the hall of jail. Instead, they have to row after an insulting iron window and a glassy wall to start talking. Every one should cry as loudly as he or she can to hear each other. This is because of the two insulators and the too many voices that talk to each other during those few minutes. Each of the families and their prisoners try to concentrate on each others lips in order to translate what is said. Sometimes they use microphones to hear each other. Moreover and according to the report, one of the conditions of the occupation authorities is that families should have a permission by the International Red Cross from its security apparatus before visiting their jailers.According to the Zionists security authorities, brothers who are more than thirteen years old are not allowed to visit their relatives at all for security reasons. In every visit, the number of members who are allowed to visit their prisoners don’t exceed two. These measures, according to the report, shape a ring in the policy of the Zionist occupation authority that taken against the rights of prisoners in general. This can be cleared in the picture if the prisoner becomes ill of the methods of torture and subjugation. From the first moment of arresting and hurling him in the jail until he becomes free, the image of weakening him can be presented by the unhealthy care taken against him, the rooms that are crowded with people, the unfair verdicts that are taken against him, the process of tormenting that he exposes to, the courts which legislate hostile, unfriendly and antagonistic laws versus him, and the tragic circumstances that he lives in.It is difficult for this article to include all what prisoners confront inside jails which assures that the main reason beyond jailing prisoners is to weakening and destroying them physically, mentally and emotionally. At last, we should collaborate our efforts for removing their sufferance, deprivation and divestment and achieving their hope to return back to their families as well. This entry was posted in International, MIddle East on July 3, 2014 by John.